There is only one way of keeping the security in one’s building and office all the time.That is through installing an video ﻿intercom system﻿. Do you know the best device that can help you in keeping security in these places? There are several that you can choose from. We installing an audio & video door entry system is one that will be recommended to you. You can be assured of keeping your building or office secured. 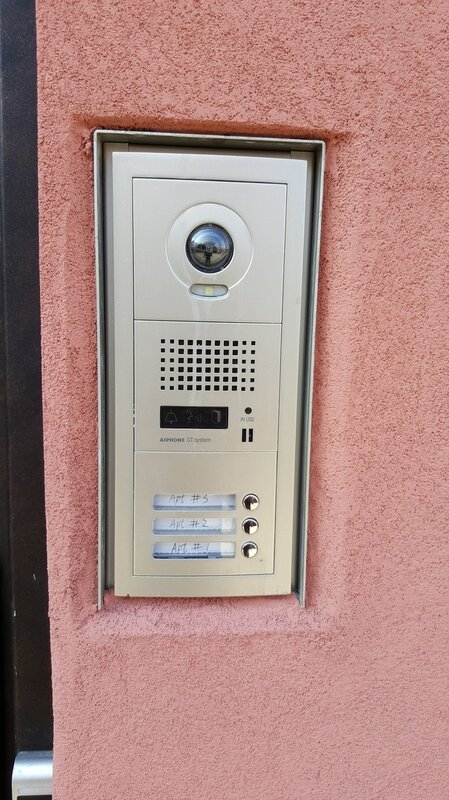 The company is offering different intercom systems for you to choose from.They have ones suited for a single door and the multi-union audio & video intercom system. What would these intercom systems do in keeping your place secured? the device, the risk of forced entry is prevented. As mentioned, there are several options that you can choose from if you want to install an intercom system to your building or office. In the page,you will see the door entry system they offer.You can install door strike which can be installed on wooden door for it to unlock automatically.There is also can install the magnetic lock which can be used on gate or garage motors or frameless glass doors for it to open garage door and sliding gates automatically. There are the video intercom systems that feature a camera. With the camera, you are able tilt as well as zoom to see the visitors well. We also offers intercom systems suitable for keeping multiple-unit apartments secured. They have the multi-union intercom system and one that comes with handsets.Through these security devices, you can now keep the entire unit block secured. For the main entry area, you can have the audio & video intercom door station, gate release and door strike installed. By installing these, you can soon view and speak to your visitors even remotely and then grant them entry. The secured lock door will help in keeping uninvited guests from getting access to the place.To ensure compete security in the area and nearby ones, you can choose to install intercom door stations. It will allow you to cover nearby areas like car parks, storage areas and recreational areas.It is now easier to keep your place secured with the video intercom systems offered by us.With these security devices, one thing is realized. Whether you are living in an apartment or in a residential area, you will still need to have something that will keep your place safe and secured. The same goes for your office or buildings.